Vollert is now marketing its Robot Vlex with articulated steering. In addition to permanent use in railway depots, the emission free, battery-operated and compact Vlex is suitable for both temporary and permanent use. 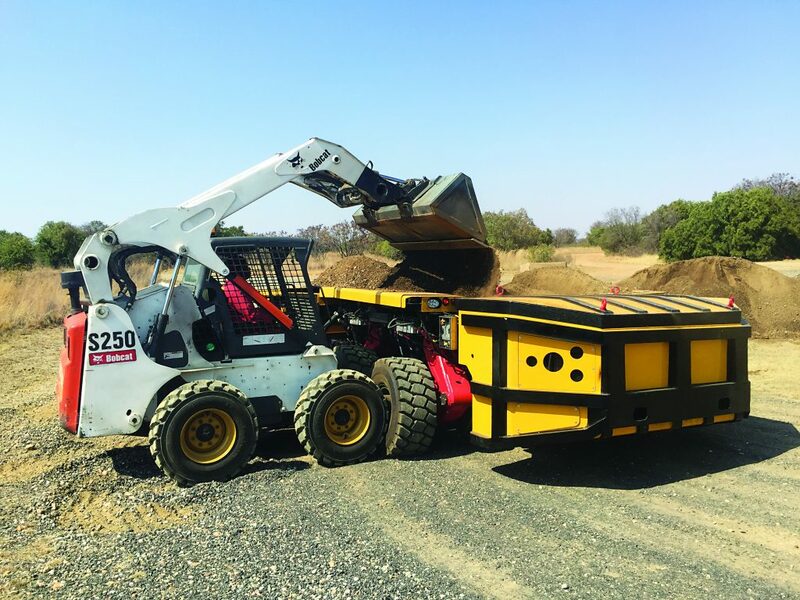 The one-man operated radio-controlled vehicle switches from track to road and back again, and despite its compact dimensions, it is suitable for manoeuvring loads of up to 300 tons. Its vehicle geometry with articulated steering and four individually-controlled wheel hub motors make it extremely agile and economical. This ensures a turning radius of 7.2 metres. At Kämmerer Spezialpapiere in Osnabrück, a Vlex creates the connection between two halls. In doing so, paper rolls are protected from the weather in a closed wagon and transported to the dispatch hall. Kämmerer has reactivated existing track systems, but also uses the tarred road surface in front of the halls for truck traffic. offer. This ranges from stationary cable systems, to heavy-duty transfer cars, transport vehicles and even stationary shunting vehicles. “We are currently experiencing a high demand for electric drive technology. These are just as flexible as diesel engines, but without noise and exhaust emissions. A stop-and-go situation is the rule during loading and unloading. and yet the torque is available immediately,” Jürgen says.